ISRAELIS FIND NEW WAY IN DISPERSING DANGEROUS CROWDS…….. – The Tundra Tabloids……. ISRAELIS FIND NEW WAY IN DISPERSING DANGEROUS CROWDS……..
You have got to hand it them, really ingenuous! The “aromatic” spray is shot from a water cannon, soaking the target in gut wrenching, putrid smell. 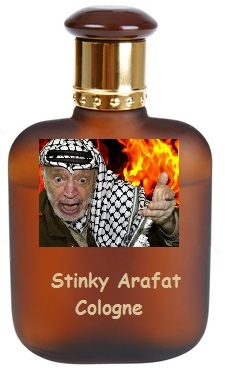 Back in March, Israel unveiled a new kind of crowd control, affectionately known as Skunk Spray. The “aromatic” spray is shot from a water cannon, soaking the target in gut wrenching, putrid smell. But, believe it or not, as smelly as it is, the Skunk is environmentally friendly, non-toxic, and so harmless you can drink it without fear of harm. Except, according to reporters who caught a whiff of it, it kind of immediately makes you wretch. There’s been a worldwide interest in the new weapon. Freedom through chemistry! The opposition is fuming: B’Tselem put out its own video showing Israel’s armored tanker trucks fitted with water cannons which spray the foul fluid at Palestinian protesters. You can’t please some folks: the IDF units switched from live to rubber bullets – and they complained. Now that there are no bullets at all being used – they’re still complaining. Previous Post Previous Post RICIN LETTER TERRORIST ARRESTED, AN ELVIS IMPERSONATOR………. Next Post Next Post DR.MANFRED GERSTENFELD INTERVIEWS DORE GOLD: CONSISTENT ANTI-ISRAEL BIAS AT UN……..